Or at least back at the sewing machine. We made it home from our trip yesterday and I spent most of the time I should have been sleeping (I hate jetlag) sewing. 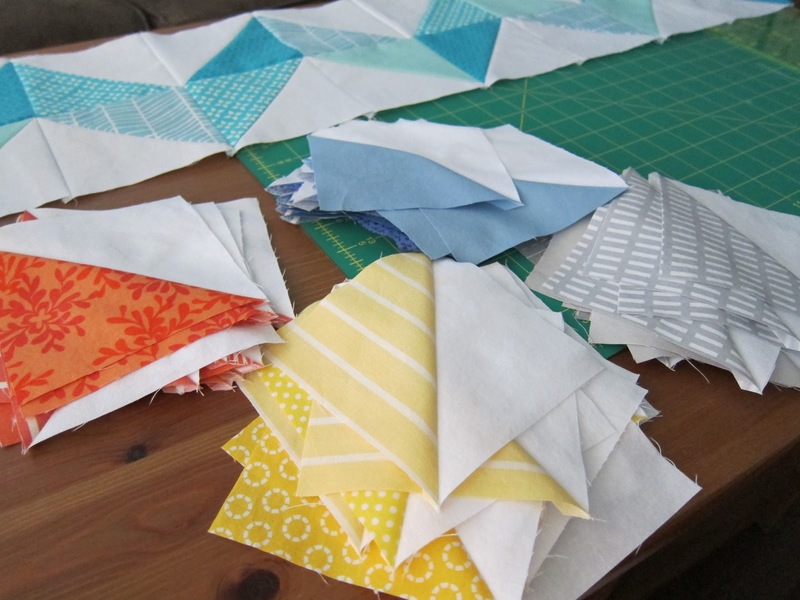 I managed to finish making all of my blocks for the Zig Zag Baby quilt, press them, and trim them to size. Although I probably should have attempted sleeping at this juncture, curiosity got the best of me and I decided to stay up and piece a couple of rows together to make the first zig zag section. 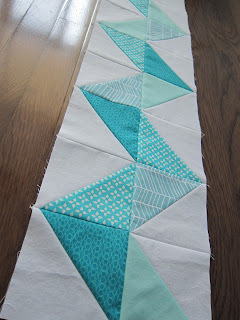 I think this quilt will fly along now that I've got the blocks made and finally have some time at home with my machine. My vacation was amazing but it feels great to be back!